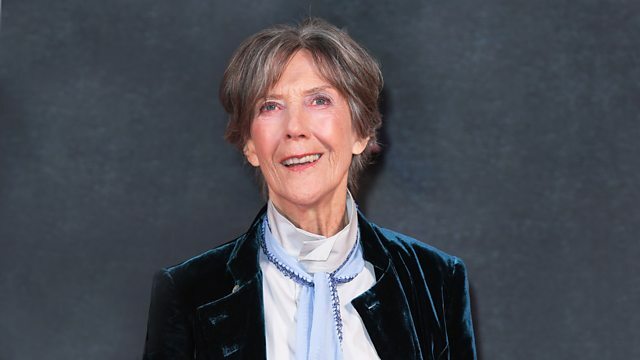 Eileen Atkins, grande dame of the stage, looks back over her career. The actress famous for her roles in The Crown and Gosford Park, talks about playing Childie in the original stage production of The Killing of Sister George, and co-creating Upstairs Downstairs, as well as some of the famous acting roles she has turned down. Penny Marshall, the first woman to direct a film that took more than 100m dollars at the box office, has died. She was, too, the second female director to have a film Oscar-nominated for best picture. Marshall starred as Laverne in the long-running hit comedy Laverne and Shirley, directing several episodes before moving on to make commercially and critically successful feature films. Leslie Felperin, who grew up watching Laverne and Shirley, assesses the career of this pioneering director. BBC One’s This Is My Song is a television series which invites members of the public in to a recording studio to work with famous music producers and create a track for a very personal reason. Samira speaks to two people involved in the series - music producer Sister Bliss from Faithless, and Charles, who, following a double lung transplant, sang in the studio for the first time. If you're in need of a break from all the sugar-coated seasonal fare, Front Row is offering some substitute Christmas treats for you to consider. Critic Sarah Ditum unwraps her alternative festive book, Stephen King’s The Shinning, a tale of a family forced to survive a homicidal snowy winter. Sister Bliss is a mentor on This is My Song, on 20 December 2018 at 8.00pm on BBC1 and the BBC iPlayer. The 2-part series is repeated on BBC2 on 29 December 2018 and 04 January 2019.